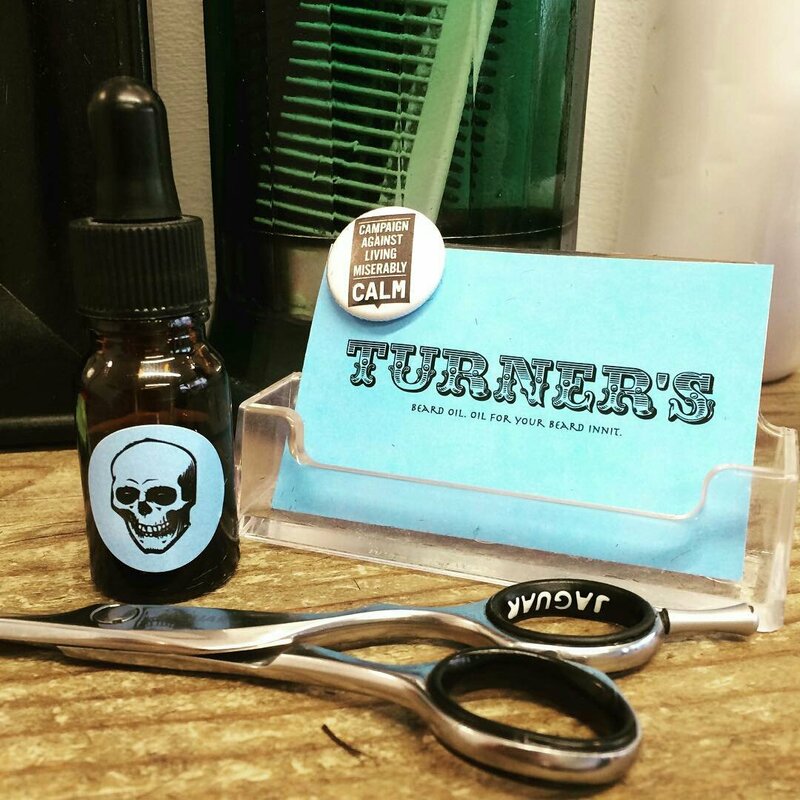 For the past few days I have been testing a bottle of Turners Beard Oil, this is a single oil brand that also supports CALM (Campaign Against Living Miserably) a very worthwhile cause is trying to help prevent male suicide, £1 from every bottle sold goes to CALM! Frankincense has a warm and sweet scent and is used in worship as it stimulates the mind and emotions, we now know that Frankincense contains sesquiterpenes that stimulate the part of the brain that deals with emotions. The oils used as a base produce a heavier oil that gives your beard great hold to keep it in place and looking good. It’s a 10 ml bottle containing a base oil of blended Avocado, Almond and Argon carrier oils with Frankincense essential oil to scent it and it works really well. You can purchase a bottle of ‘Turners Beard Oil’ from Etsy for £12 which includes free shipping within the UK. THE CAMPAIGN AGAINST LIVING MISERABLY, or CALM, is a registered charity, which exists to prevent male suicide in the UK. In 2014, male suicide accounts for 76% of all suicides and is the single biggest cause of death in men under 45 in the UK. Pushing for changes in policy and practice so that suicide is better prevented via partnerships such as The Alliance of Suicide Prevention Charities (TASC), the National Suicide Prevention Alliance (NSPA) . CALM also hosts the Suicide Bereavement Support Partnership (SBSP), which includes Cruse, If U Care Share, Papyrus, SoBS and the Samaritans amongst others. This partnership aims to ensure that everyone bereaved or affected by suicide is offered and receives timely and appropriate support. Its members are working collaboratively to ensure this vision becomes a reality. ← Doctors don’t like Chronic pain patients!